And so it is for 15 Super Rugby coaches, their assistants and playing squads who, while not under the same kind of confused mental stress – at least not yet – start the season this week, confident and full of self-belief, but with no real idea of what the first match, let alone the next five months, holds in store for them. One reason is that following the northern hemisphere autumn internationals – which took Test players into December before they could begin to switch off – the start of the Super Rugby season has come around very quickly. Too quickly in most cases to meaningfully integrate leading players into the pre-season schedule. The Rebels for example, have played two full trial matches, against the Brumbies and Reds, plus a modified trial last Friday against the Sunwolves, yet the majority of their number comprised players who have no prospect of making it anywhere near a Super Rugby pitch, this or any season. While coach Dave Wessels can relax in the knowledge that Will Genia and Quade Cooper hardly need introducing to each other, he will be reliant on the class and ability of his Test players to dial straight back into Super Rugby. And, even if it’s not all singing and dancing in Round 1, to come to hand quickly, before the competition gets away on them. What applies to Wessels applies across the competition, highlighting the importance of relativity. No side will be properly ready, but they don’t need to be – they just need to be more ready than their opponent. For a number of different reasons; among them the omnipresence of the 2019 Rugby World Cup and what that means for player availability, continuing migration to northern hemisphere clubs, and the impact of Australia’s reversion to four teams being more fully realised, this season shapes as the most even in recent memory. It’s certainly the most even since the competition was expanded to 14 teams and beyond. To illustrate, perennial New Zealand easybeats, the Blues, now under the stewardship of Leon MacDonald, look to have strengthened their roster and resolve considerably. It is a reasonable expectation that they will be better than last year. And of the remaining four New Zealand sides, who is prepared to predict that any of them will regress? Of course there are key players from previous years who will be absent from each – Lima Sopoaga, Sam Cane, Brad Shields and Wyatt Crockett for starters. And don’t expect to see much of some leading All Blacks, as their workloads are managed down to the minute. But then again, everybody knows that New Zealand rugby is deeper than the voice of that pretty lady you thought you fancied on your last trip to Bangkok. Most pundits will pick the Crusaders to win again, because the whole franchise can’t help be anything but consistently excellent, and because that’s the safe, sensible option. But anyone who today thinks they can predict teams 2-5 in the New Zealand conference, in correct order, is a better man than me. And welcome to come over and fill out my Powerball card, please. South African conference high flyers, the Lions, were expected by many to slide last year, after talismanic coach Johan Ackermann departed for Gloucester, some key players tagging along to the UK with him. But he left behind a strong culture, and a Herculean season from Franco Mostert underpinned another successful campaign. Mostert’s loss however, hints at a step backwards this time around. The Bulls celebrate the arrival of the non-Tongan Thor, Duane Vermeulen, but not too much else, while the Sharks will likely continue to tease, historically performing well on tour, while dropping winnable matches in South Africa. Outside of the outrageously talented Damian Willemse, the Stormers appear to lack strike power in the backs, and there are said to be flecks of discontent still lingering in their coaching group. Having finally cracked it for a finals berth last year, and with World Cup places up for grabs, it’s logical to expect the Jaguares to push on. Nothing however, is ever logical when it comes to Argentine rugby, and it’s not an exaggeration to suggest that Nicolas Sanchez might be the most impactful player loss across the whole competition – and that’s before we start with the coach, Mario Ledesma. But once again – try tipping this conference in finishing order and tell me you’re not guessing. The Australia-Nippon conference is no less confusing. The Rebels only just missed a play-off berth last season, and they are demonstrably advanced by comparison to this time last year, by every measure. It will be a major surprise if they do not break their finals duck. But there is also a strong case to be made that all teams in this conference will be improved this season – even if that’s a function of working off a low base. 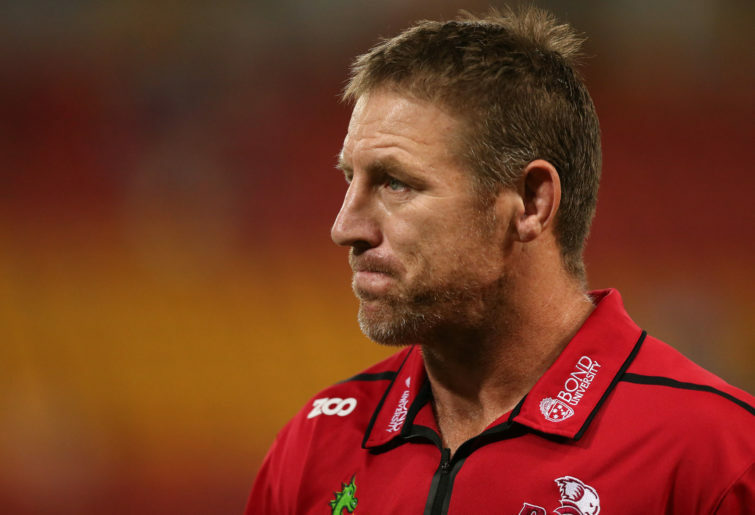 The Reds, certainly; their pack is not for bossing, and while their young halves still have their best days ahead of them, there was a lot to like about how flyhalf Hamish Stewart grew into a man in a tough, uncompromising NRC final. The Brumbies are still working through a fundamental change in style, the fruits of which started to become evident in their late-season run. In that sense, they have momentum. But do they have sufficient depth and enough class at 10? There’s an argument that Taqele Naiyarovoro was responsible for five or six tries that no replacement can hope to deliver, but on the other hand, there’s a lot to like about the depth of experience in the Waratah’s backline. And, say what you will about Michael Hooper, at this level, with a high-revving engine that refuses to idle or switch off, he’s worth two players. At face value, there’s no reason why the Tahs can’t at least match their semi-finals appearance of last season. And although they retain rank outsider status, the Sunwolves too look to be a better, more balanced lineup this year. Coach Tony Brown is equal parts old-school graft and innovative thinker, and that’s exactly how his side will play. The truth is that all of these sides can’t all finish in the top half of the table. But even if they end up stealing points off each other, expect to see a continuation in improvement this season in the loss-win ratio against New Zealand sides, and two finalists from this conference emerge, with a third in the mix. While media and fan attention naturally centres around the big names – Pocock, Folau, Cooper, Etzebeth, Marx, Read, Retallick, Barrett and the like – the inevitable injuries and rotation means that this competition will be shaped by players ranked 20-35 in each squad, and their ability to fit seamlessly into their sides when provided with an opportunity. 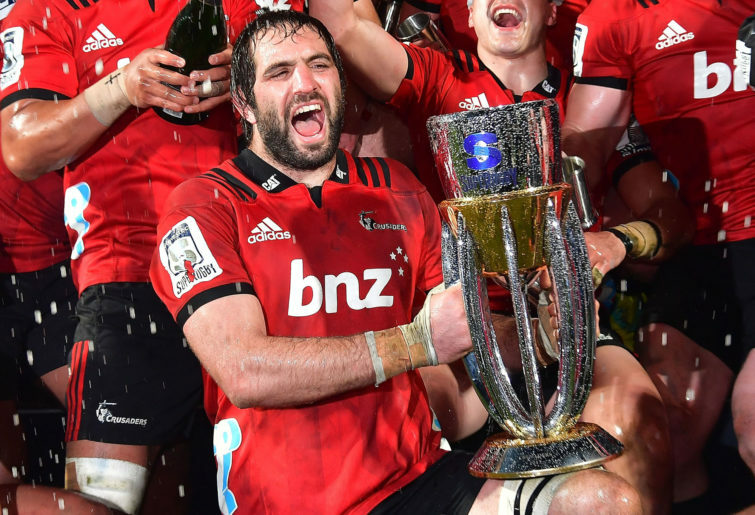 It’s here where we find one of the secrets to the Crusaders’ ongoing success (ditto Leinster), and where this season’s ladder will eventually take shape. In that respect the Rebels and Waratahs get a tick, along with all of the New Zealand teams, the Jaguares, and the Stormers’ pack too. Conversely, squad depth is the same issue that will be behind inconsistent performance, and wild swings in results, from sides like the Bulls and the Reds. 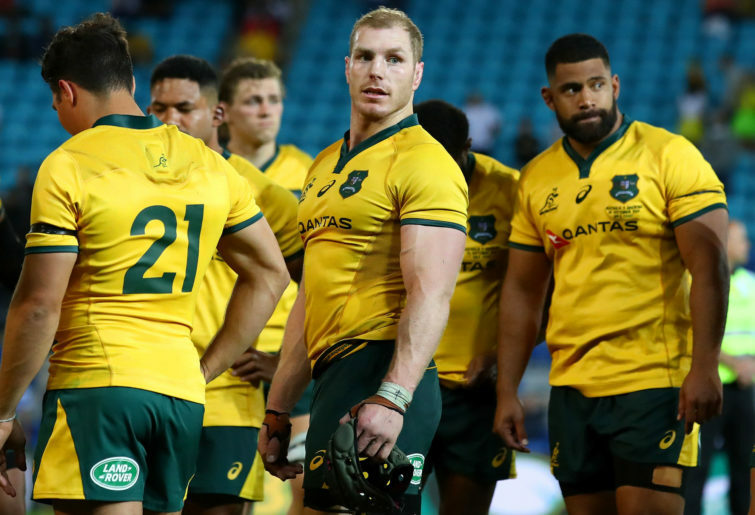 There are factors at the margins too – for example the respective fixtures provided the Waratahs and Reds (who don’t play this weekend) are inequitable, but such is the nature of a professional rugby competition spread across five nations. The cream will still find a way to rise to the top and the Waikato Draught to sink to the bottom. In terms of the type of rugby we’re likely to see, it’s not unusual in a World Cup year for the game to tighten up. And with every rugby side now placing an emphasis on work rate and defensive line speed – and match officials unperturbed about religiously keeping defenders behind the offside line – it will be hard work at times for some sides to find as much space as they’d like to. As a consequence, just like a hairstyle that swings in and out of fashion, the once popular grubber kick, derided in recent years as a ‘soft’ relinquishing of hard-won possession, appears to be in the midst of a resurgence. Who are the players to watch out for? For very different reasons I’ll be keeping a close eye on Michael Little (willing to try anything), Hamish Stuart and Rob Valetini (can they take the next step? 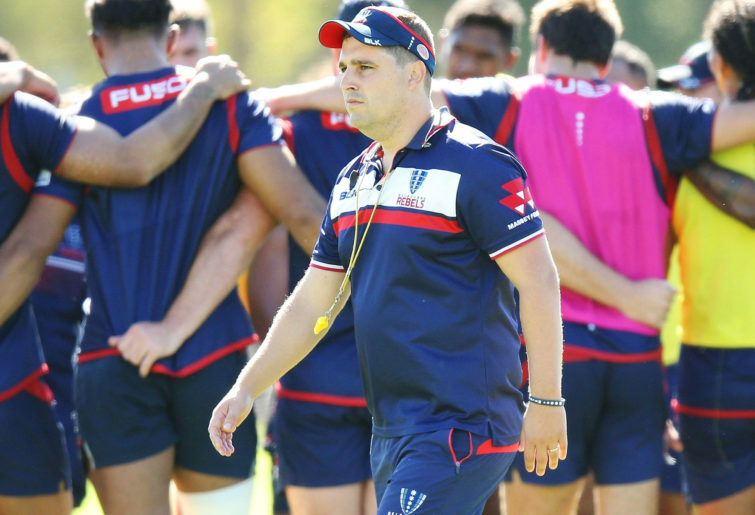 ), Tom Banks (did Cheika get it right and the crowd wrong? ), Le Roux Roets (any South African lock in Australia warrants attention), Vaea Fifita (one of the few Kiwis genuinely playing for a World Cup spot), Will Jordan, (a quality player on the rise), and Stephen Kitshoff (everybody’s favourite ginge). Hopefully there won’t be too many Mondays devoted to discussing the role of TMOs, with a suitable balance to be struck between getting the big calls right around matters of fact, and everyone accepting the 50/50 calls and getting on with the game. Another famous Shakespeare saying is “Everyone has a plan, until they get punched in the mouth.” Oh, hang on, that might be Mike Tyson. Nevertheless, it neatly sums up where all 15 coaches are sitting right now. Just who does the punching, and who has to revert early to ‘Plan B’, is about to be revealed – strap yourself in and enjoy the ride! In Round 2 Six Nations action, Ireland, as expected, recovered to beat Scotland, 22-13, at Murrayfield. While not perfect, the typical Irish hallmarks were all there; hard shoulders and connectedness in defence, flashes of creativity in the backs, and solid discipline throughout. For the second week running, flyhalf Jonathan Sexton took a hammering, and while replacement Joey Carbery started poorly, he tapped into his Kiwi roots and finished the game strongly. Scotland too were impacted by the loss of Stuart Hogg, not only for his spark, but because he must have taken the team’s can of ‘spray grip’ off the field with him. As always, there was endeavour, but Scotland conspired to lose the key moments, none more so than when a sustained attack on the Irish line just before half-time, lacked both the grunt and nous to deliver points. At the end of the match, all that was left was to decide who looked the most sour, Scottish captain Greig Laidlaw, moaning about referee Romain Poite, or a pony-faced, sorry, stony-faced, Princess Anne, who looked like she’d just had Peter O’Mahoney confuse her with Kyle Sinckler. The two sides, group A bedmates, next meet on neutral ground in Yokohama, an opening weekend clash that should help set the World Cup on fire.